All ROYAL RANCH UNIT 2 PARCEL homes currently listed for sale in Surprise as of 04/20/2019 are shown below. You can change the search criteria at any time by pressing the 'Change Search' button below. "RELOCATING FROM OUT OF STATE? SKIP THE REST AND COME SEE THE BEST!! BEST VALUE IN THE ENTIRE VALLEY!! SAME HOME IN PEORIA, CHANDLER OR GILBERT WILL COST 20% MORE!! SURPRISE HAS A ROBUST CHARTER SCHOOL SYSTEM WITH NO FEWER THAN 5 ELEMENTARY/ MIDDLE SCHOOLS RANKING AN 8 OR HIGHER!! 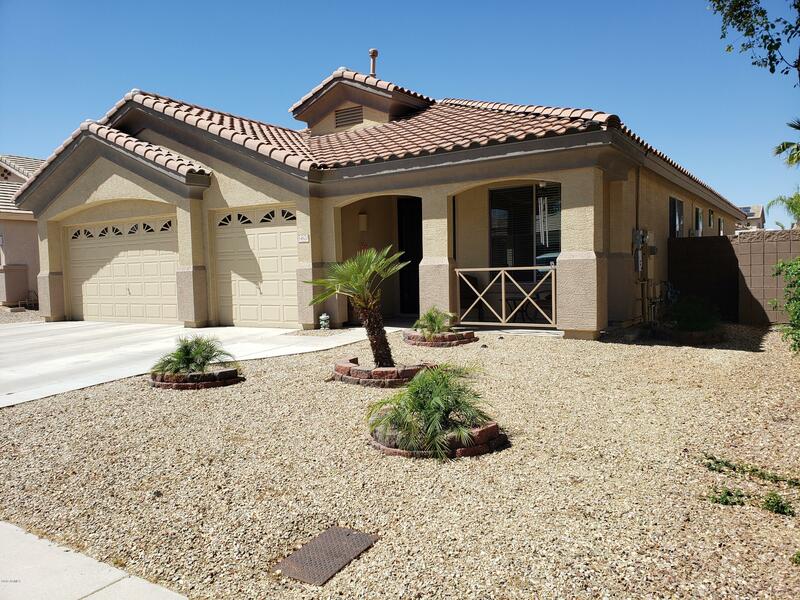 HOME HAS NEW 5.25 INCH BASEBOARDS, SS SAMSUNG APPLIANCES, NEW CEILING FANS, NEW BATH LIGHT FIXTURES, NEW PAINT, NEW KITCHEN SINK & FAUCET, ELEGANT DARK FLOORING & CERAMIC TILE, UPGRADED OIL RUBBED BRONZE DOOR HANDLES"
"Amazing Fulton home on an oversized lot. 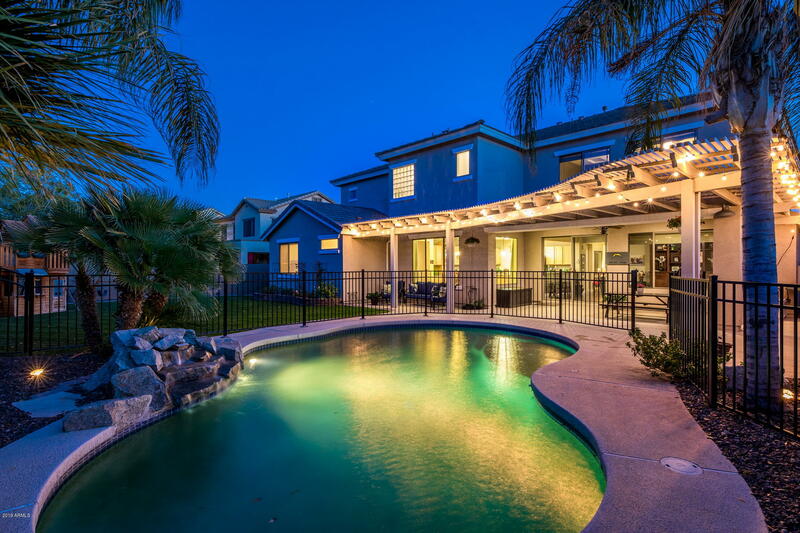 RV gate, fenced play pool, and a nicely landscaped backyard in one of the most desired neighborhoods in Surprise. This house has room to spare and is move in ready. Quick close is possible. Don't wait because this one won't last long." 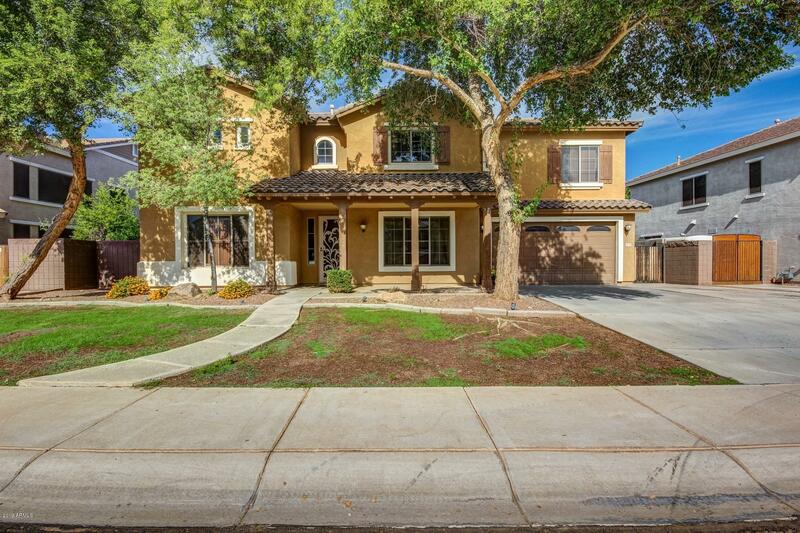 "Recently Remodeled, New Paint Inside and Out, All New Flooring 3 bedrooms carpeted and all other areas tiled with stylish 12 X 24 grayish tile, Soothing Interior palette, Master Bath converted to large walk-in shower with designer controls, Counter height cabinets and granite. All Kitchen lower cabinets have slide out shelves, New stainless upgraded appliances, New designer tile back splash in Kitchen with Custom Granite counters with large island, Ceiling fans and blinds throughout, Low mainte"